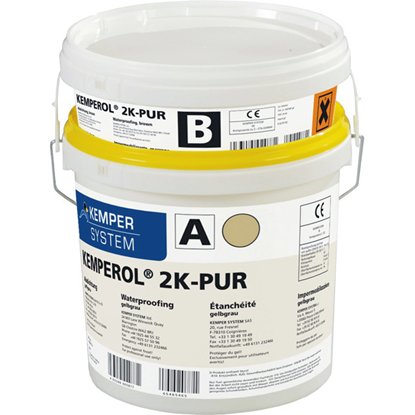 KEMPEROL 2K-PUR is an odourless, solvent-free liquid waterproofing system specially developed for sensitive areas. It is ideal for situations where the presence of solvents is to be avoided. This odourless liquid-applied system is particularly suitable for guaranteed long-term waterproofing of roofs, balconies, terraces, and interior areas in environments such as Hospitals, Nurseries, Schools, Air conditioned offices.